Without bypass filter element - 2 required. For use with EaBP90, EaBP100 or EaBP110 Element. Typical Installation Diagram for BMK22 Kit. When used in conjunction with AMSOIL motor oil and an AMSOIL EaO or Donaldson Endurance filter, the EaBP90, 100 and 110 Filters should be changed every other full-flow filter change up to 60,000 miles or one year whichever comes first. When used with other brands of motor oil or full-flow filters, the EaBP Filter should be changed every other full-flow filter change. 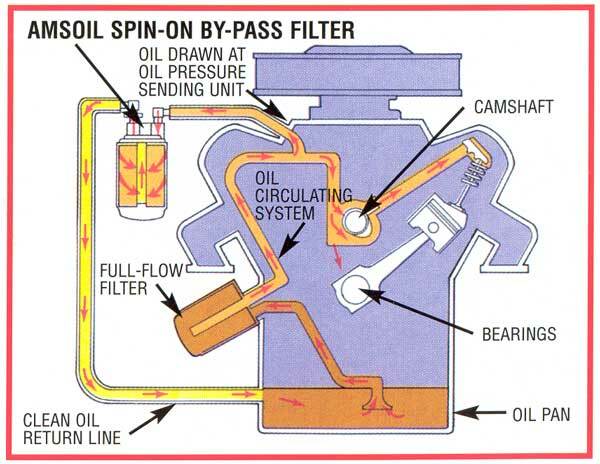 AMSOIL recommends using oil analysis when extending oil drain intervals. AMSOIL recommends changing the EaBP120 every other full-flow filter change up to 90,000 miles or one year whichever comes first. Extended oil drain intervals should always be accompanied by an oil analysis program.